MANAGUA, Sep 17 2018 (IPS) - Five months after the outbreak of mass protests in Nicaragua, in addition to the more than 300 deaths, the crisis has had visible consequences in terms of increased poverty and migration, as well as the international isolation of the government and a wave of repression that continues unabated. “There can be no economic development in a country that, regionally and globally, is being exposed in its disproportionate use of force against the civilian population and the violation of all human rights; it is not possible for a country to grow with the whole world against it,” he said. The human rights advocate is one of more than 30,000 Nicaraguans who, according to unofficial estimates, have migrated legally or without papers since the beginning of the social rebellion on Apr: 18. Michelle Bachelet, the United Nations High Commissioner for Human Rights, invited Leiva to present the situation in Nicaragua this month, in the context of protests and unrest that, according to the ANPDH, have caused 481 deaths, almost 2,000 wounded and more than 1,200 illegal detentions, kidnappings, forced disappearances and political imprisonments. Leiva’s figures contrast with other international human rights organisations, such as the International Commission on Human Rights (IACHR), which puts the death toll at 322, while the Nicaraguan government acknowledges 198 deaths and blames them on anti-government demonstrators. The economy of this Central American nation has been undermined by the five months of social unrest, initially triggered by protests against a reform of the social security system in April, which grew and led to demands for the resignation of President Daniel Ortega and Vice President Rosario Murillo, his wife. In Nicaragua, governed by Ortega since 2007, 47 percent of the population of 6.3 million live in poverty. According to the World Bank, it is the third poorest country in the Americas. Economists estimate that more than 215,000 jobs have been lost, including 70,000 in the tourism industry, which in the last two years has become the country’s main source of foreign exchange. 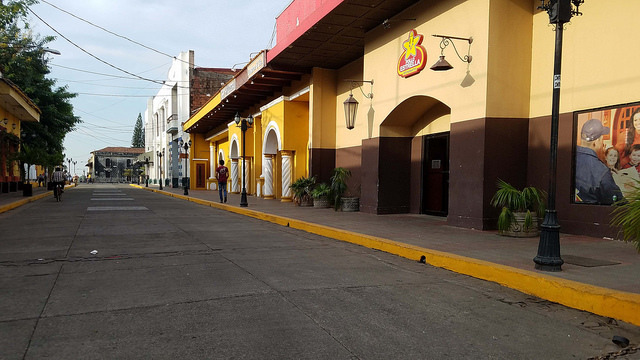 Since the crisis broke out, more than 900 million dollars have fled the financial system, and the tourism industry is in ruins with the collapse of 55 percent of activity in July compared to the previous year, according to the Central Bank of Nicaragua. Investments in tourism, construction, agricultural development, stock exchange activity and other areas of the economy have been frozen since April. The economic slowdown was also fuelled by the suspension or reduction of international airline flights and by various economic and political sanctions at the international level. The economic impact of the crisis has been quantified by the different business chambers at more than 1.2 billion dollars, in a country with a GDP of about 14 billion dollars. The economy grew 4.9 percent in 2017 and was forecast to grow four percent this year. But projections have been reduced to one percent growth, according to the Central Bank, and to zero percent according to independent economists. The crisis, in the opinion of sociologist and economist Cirilo Otero, could even affect the country’s food security, due to the destruction of thousands of hectares of productive land taken over by people demanding low-cost housing. The Union of Agricultural Producers of Nicaragua (Upanic) reported that more than 4,855 hectares of privately-owned land have been occupied by government supporters, in what it describes as revenge for its support for the demonstrators. This group is part of the Superior Council of Private Enterprise, head of the Civic Alliance for Justice and Democracy, which since April has made several failed attempts at dialogue with the government to seek a way out of the crisis, in which the Catholic Church and social and student organisations also participated. Upanic says that more than 90 percent of the farmland that has been occupied was used for agriculture, cattle ranching and genetic improvement of food, although the occupiers say they only took over idle land. “The outlook for the country, in the short, medium and long term, is grim, dark, worse than Venezuela, because at least they have oil there; here we depend on agricultural production and tourism, two areas severely hit by the crisis that Ortega generated with the repression,” Otero told IPS. The economic crisis, said the economist, can be seen in the decline in all economic, academic and cultural activity, capital flight and migration. In the offices of Nicaragua’s Immigration and Foreign Services, the long queues of people seeking passports to leave the country have become a daily occurrence. Alejandro José Mairena, from the northern department of Matagalpa, was one of those who in mid-September made arrangements in Managua to obtain his immigration documents in order to travel to Panama to try his luck. “My concern is work, without work there is no life, and here in Nicaragua there is no work, no security, no progress. That’s all over,” he told IPS. 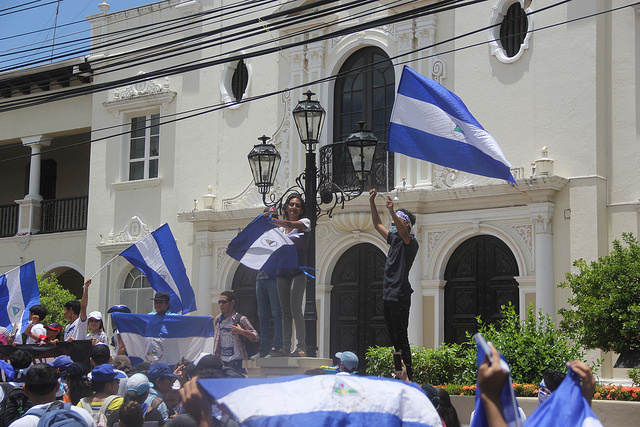 President Ortega, who has responded to the social unrest with repression described as brutal by local and international human rights groups, has acknowledged to foreign media that the disturbances have damaged the country’s economy. He blames the damage on the demonstrators, who he describes in his speeches as terrorists and murderers. The repression is continuing at the judicial and police level: every day illegal detentions are denounced, as well as forced disappearances of people who weeks later reappear, accused of terrorism and other crimes in closed-door trials. 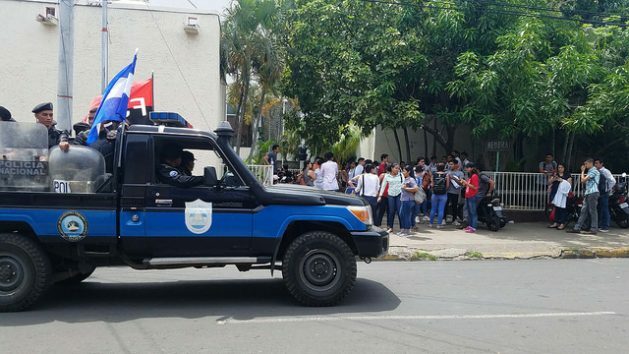 The offices of the non-governmental Permanent Commission on Human Rights in Managua receive daily reports of harassment and detentions by police and paramilitary forces. The complainants are student leaders, peasant leaders, former members of the military and former guerrillas, human rights activists, journalists and media outlets, civil society organisations and people who at one time or another joined the protests. “They’re hunting people down, and there are allegations of torture, sexual abuse, judicial aberrations and the planting of evidence to sentence people to more than 20 years in prison,” Leiva said. Despite the high number of deaths and injuries, the anti-government demonstrations, led by university students with the support of social organisations, political parties and the opposition, have failed to form an alternative platform with sufficient strength to force political change. This, together with the brutal crackdown by the regular and irregular forces of the government of the Sandinista National Liberation Front (FSLN), has been silencing the protests in the streets. The massive marches against Ortega in the initial months have been reduced to small protests that are squelched by the police and paramilitary shock troops. One illustration of this is what happened on Sept. 12, in the western department of León, where police and government shock forces besieged a protest by medical students, although on that occasion there were no arrests. The Civic Alliance denounced on Sept. 14 that in seven days the police illegally detained 17 young people from the student movement, who have been accused of terrorism and other serious crimes, without any evidence presented against them.